For some odd reason, Mr. Chickadee has a chicken intolerance. He can eat any other bird like turkey, duck, quail, etc., but if he eats chicken, immediate stomach cramps. Weird, I know. So I cook it when he's not home, like lunch time, because the chickadees and I love it. Several times I have purchased a rotisserie chicken and was able to make 2.5 meals out of it. The drumsticks, thighs, and wings were usually eaten right away with mashed potatoes and a salad. One breast was made into a salad for myself. And the left over carcass and breast were cooked into a broth for soup. 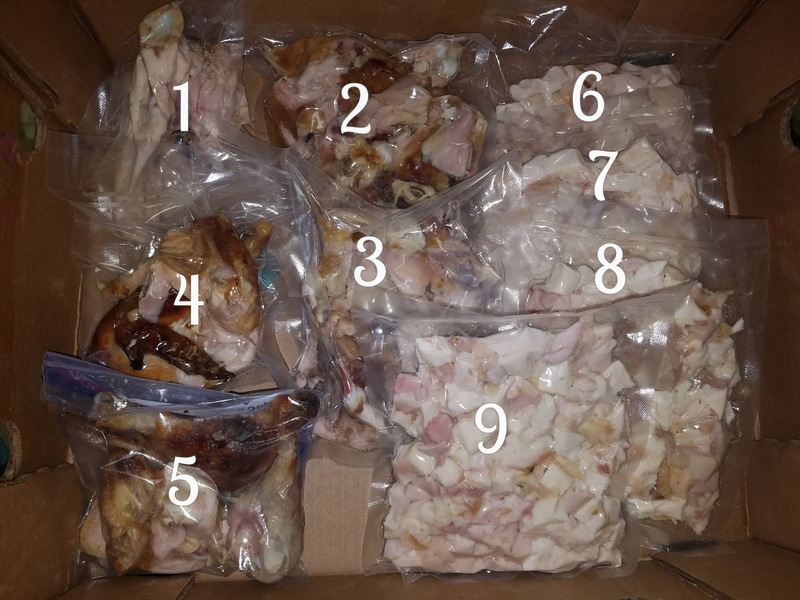 Last week I decided to buy two chickens, divide them into portions, and plan out the meals. 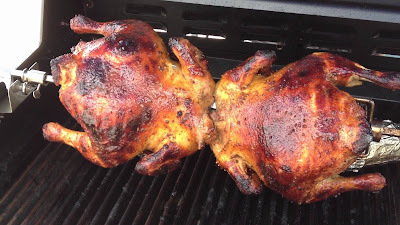 I wanted to see how many meals I could make with just two chickens. It helps that we don't eat large lunches, we have larger meals for dinner instead, so I was able to divide the two chickens into nine portions. We won't be having a large portion of chicken with our meal, but one-pot meals go a long way. And soups, of course, are great. So if you have less kids, you could make more meals.. or have more chicken in each meal.